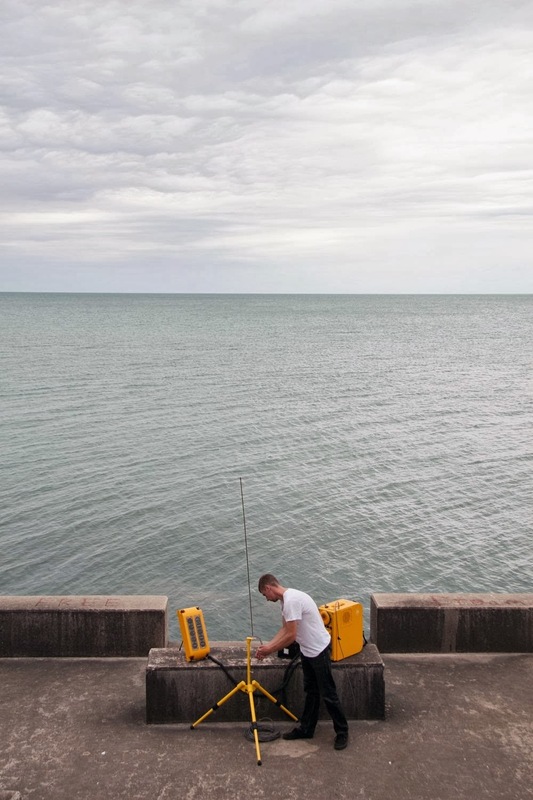 Radius produced a special radio program for the ∏-Node hybrid radio project at the 2014 CTM Festival. 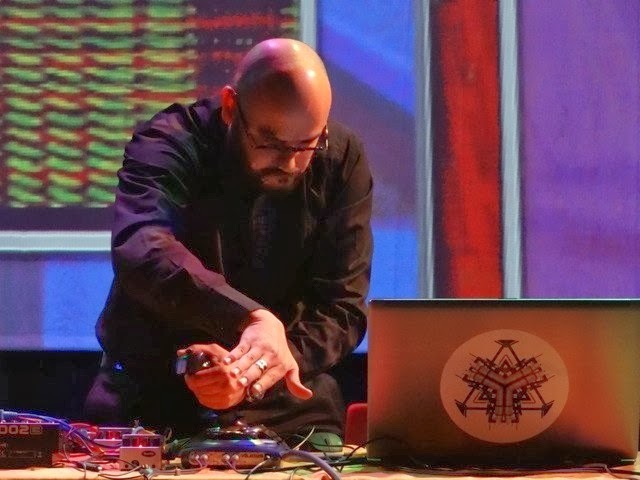 ∏-Node is a multi-dimensional radio infrastructure platform that experiments with narrative, participative, and imaginary possibilities of Radio through the use of both historic and new digital technologies. The program highlights Episode 01: Michael Woody, Episode 04: Art of Failure, Episode 23: Radio Cegeste, Episode 35: Hugo Paquete, Episode 39: Jesse Eric Schmidt, Episode 42: ShortWaveMusic, and Episode 44: Anna Friz. The program broadcasts on Sunday, February 02 at 11am - 2pm CET on ∏-Node Network in Berlin, Germany. 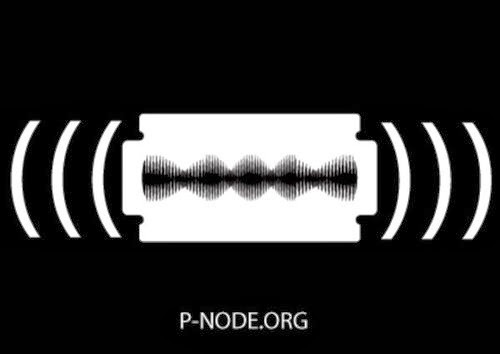 Listen to the ∏-Node online stream here. Radius Episode re-broadcast for their late night program Bande Sans Fin / Endless Tape directly proceeding my performance. The host of the show, Anton Mobin, has chosen several Radius Episodes for re-broadcast deep into the night starting on Friday, February 7 at 12:00 AM (00:00 hour). I will also be announcing this special re-broadcast on the Radius website on Monday or Tuesday, so be on the lookout for that if you're looking to share on your networks. As always, please let me know if you have any questions or concerns over this. We are very excited for the opportunity to air your Radius episodes in Paris. Thanks again for your continued support and encouragement for Radius. Radius will be featured in a special late night edition of the Endless Tape radio program on EPSILONIA Radio Libertaire (89.4-FM) in Paris, France. 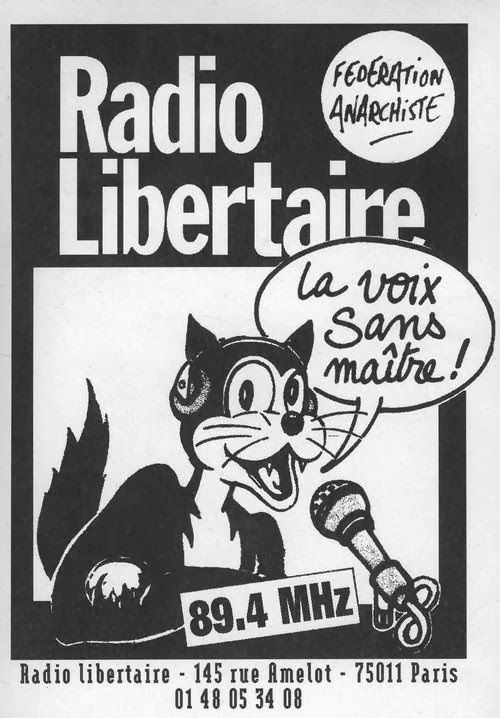 Radio Libertaire (89.4-FM) is the radio station of the Anarchist Federation broadcasting from Paris since 1981. The program will highlight Episode 01: Michael Woody, Episode 04: Art Of Failure, Episode 10: Harold Schellinx, Episode 11: Jeff Gburek, Episode 19: Emilie Mouchous & Andrea-Jane Cornell, Episode 26: U.S.O. Project, Episode 28: Harold Schellinx, Episode 32: IO.SOUND, Episode 35: Hugo Paquete, Episode 44: Anna Friz, Episode 45: Alyssa Moxley, Episode 46: Luke Munn, and Episode 47: D. Burke Mahoney. The Endless Tape program broadcasts on Friday, February 07 at 12am - 9am CET on Radio Libertaire (89.4-FM) in Paris, France. Listen to the Radio Libertaire (89.4-FM) online stream here.